The Aussie V8 coupe thats still affordable, more practical and better suspension than a C3 and being 1 of 97 its a true investment. 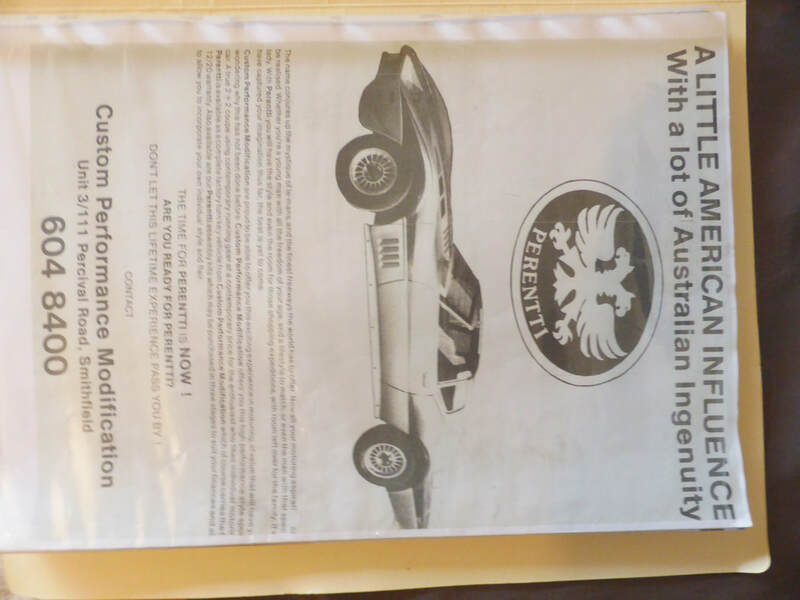 SUPER RARE piece of Australian motoring history. VIDEOS BELOW- sorry no burnouts here the engine is still being run in but you can feel its got alot of grunt there if you wanted it! *STARTS, RUNS & DRIVES BRILLIANT– see videos above. Still running in engine so no burnouts sorry. *SOUNDS OUT OF THIS WORLD– this beast has huge mean V8 rumble. *NO RUST in any of the metal parts chassis/doors etc. Body in fantastic condition, fibreglass excellent. *NOTHING TO DO FOR REGO that I am aware of. *FULLY ROAD REGISTERED IN AUST SINCE 1985 with alot of orginal paperwork. *SUPER RARE & UNIQUE one of 25 MARK I PERENTTI’S. With the price of Aust V8 coupes going thru the roof this is an awesome investment in our motoring history. 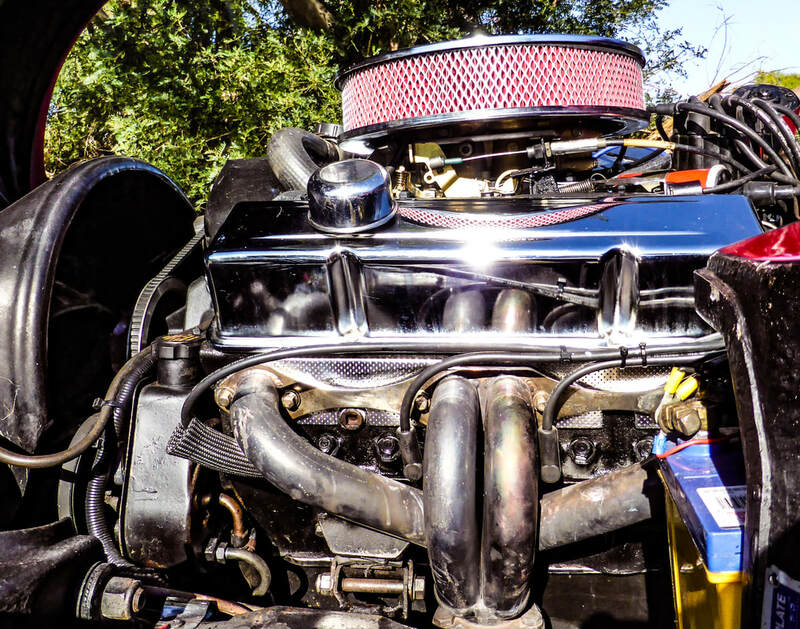 *NEWLY FULLY REBUILT MILD CAM CHEV 350 V8 with roller rockers, 4 barrel 650 carby & alloy intake. Heaps extra horsepower in this lightweight setup makes it awesome to drive. *PERFECT WEEKEND CRUISER– super reliable, power steering, front disc brakes, CD player, SAAS seats. Boot & Room for rear seats if desired unlike a corvette. Not showcar paint, good daily driver paint that still looks stunning a few metres away and turns heads like no other! ONLY PRICED SO WELL AS I NEED to sell fast to fund my other projects. 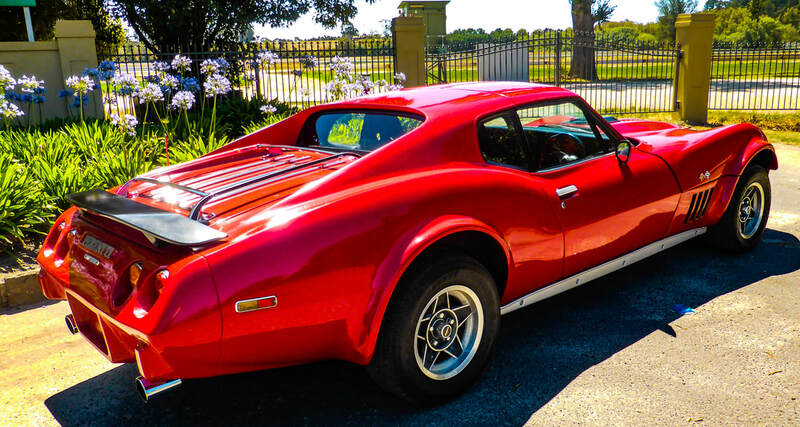 This extreme sporty red muscle car just oozes style and attracts more attention than almost any other car. 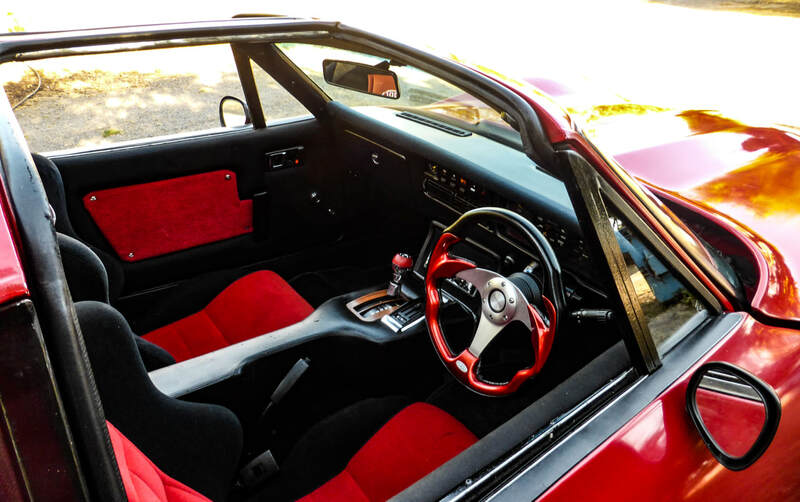 This car is a super investment for the future– rare, unique and as an Australian made V8 coupe it is becoming extremely sought after and hard to find. It was a semi-commercially produced car but only 97 made, and only 25 Mark I. 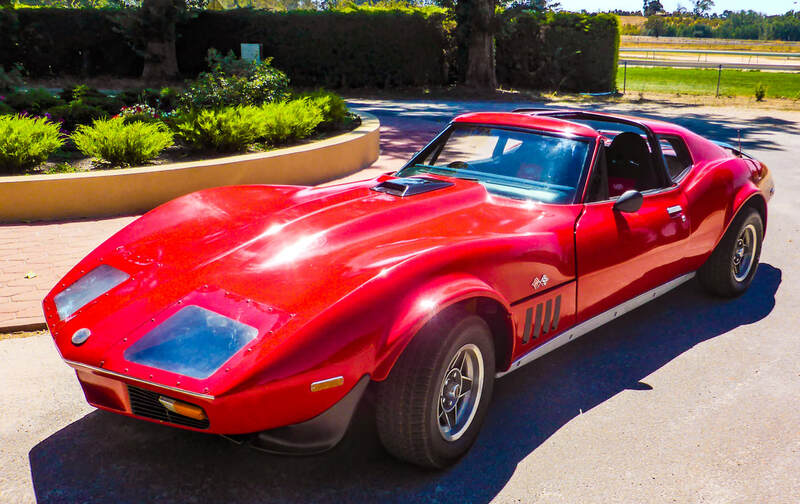 The design was based on the iconic C3 corvette shape in the 70’s and was built on a Holden HJ panelvan chassis. It had the advantage of rear seats and a boot, making it alot more useable than the C3. The suspension was also superior to the C3 and gave the perentti better handling and cornering. The C3 only had a single assembly leaf spring from left to right. An awesome newly rebuilt 5.7lt 350 Chev with Roller Rockers and Mild cam. 4 barrel 650 holley carby, cylinder head work done & alloy intake manifold. This extra power with the lightweight frame makes it an awesome drive. Complete carburettor overhaul. Less than 200km since the engine and carby rebuild. Quiet to cruise in with very few rattles for this age car. Full twin exhaust system from front to back. Large twin chrome tips. Does have hole in exhaust. TYRES very good to excellent cond. NO RUST- the chassis rails, doors and other metal parts are in excellent condition. Very straight and clean panels- No dints or dents or significant damages. Extended guards front and rear to accommodate larger wheels. Front spoiler, silver side trim, chrome luggage rack and the extended guards really make this car stand out. Indicators, parking lights, brake lights all working in great condition. All doors and locks work. PAINT looks good enough to still turn heads like no other! However it is not a show car and there are areas of crazing of varying degrees and some small chips, touch-ups etc. It still looks amazing from a couple metres away and is still a stunning car to have as a daily driver or cruiser to enjoy and drive a real headturner. 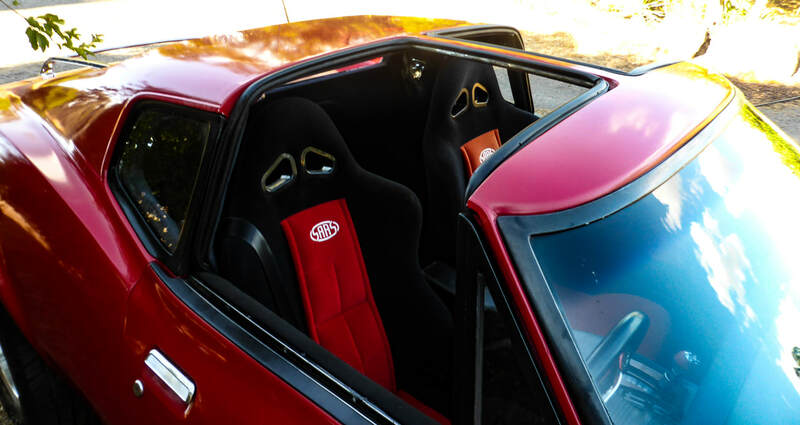 Seats two toned color coordinated red and black SAAS seats to give extra headroom, in excellent condition. 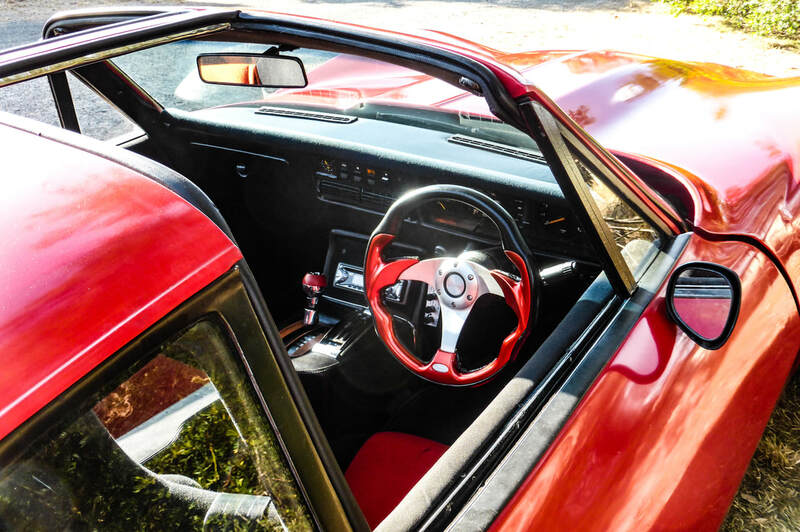 Hoodlining, door cards, T tops and dashpad in fantastic condition. Carpet mostly in great condition and where it has been damaged it has been replaced neatly Centre console looks great and although has small damages in top is overall great cond. Room behind front seats for storage or for 2 small rear seats. JVC CD player and speakers work great. Kenwood speakers connected and new set pioneer speakers not yet connected. Rear boot a big bonus as C3 corvettes have no boot or rear seats. In great condition. All gauges work- Tacho, fuel, volts and temp except oil pressure and clock. Regular horn & wiper washers only other items that don't work. Spare wheel, tyre in vgc, jack & wheelbrace. Chrome Luggage rack looks stunning and made to carry the TTops. NOTHING MUCH TO DO FOR REGO that I am aware of, hole in exhaust and wiper washers, heater. Registered in Qld up until very recently. First reg in Victoria in 1985, SA then Qld. Now in Vic. Selling unregistered. This is a real headturner car that is a rare investment opportunity and is only for sale so cheap as I have too many cars right now to fit in my collection so I have to sell alot of my beloved cars to fund my ongoing projects.